Shikanoshima Island, actually connected to Hakata by land bridge, enjoys great accessibility including a roughly 30 minute ride on the Municipal Ferry from Hakata Warf, or a roughly 40 minute ride by car or on the Nishitetsu Bus from Tenjin in the city center. We recommend touring the island by rental bicycle due to the 12 kilometer circumference and the relative lack of ups and downs along the route. Come and feel the refreshing breeze on your face as you enjoy a lovely holiday away from the day to day. 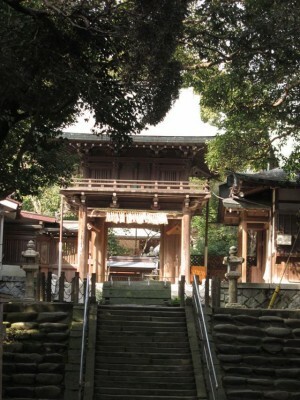 Shogonji Temple is a Zen temple with a long history located approximately six minute walk from the Shikanoshima Island ferry landing. It is famed as a temple for matchmaking, and the view looking down on Hakata bay is amazing. 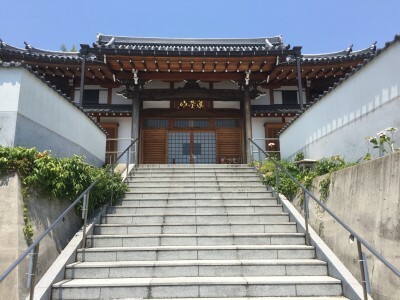 On days where there are no other special Temple events, there are several activities available here which are particularly worthwhile for foreign visitors, such as a Zen meditation workshop, a matcha green tea workshop, and a sutra transcription workshop (fee required). ※ Please inquire about the Zen meditation workshop, matcha workshop, and sutra transcription workshop at the temple on the day. 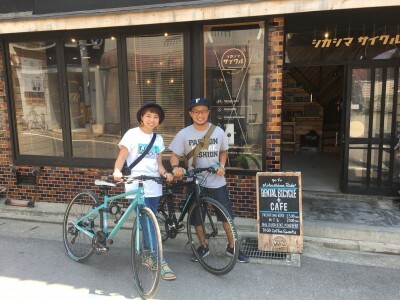 Shikashima Cycle is a bicycle rental shop and cafe near the torii gate at the entrance to Shikanoshima Island. The available bicycles primarily include sporting bikes, such as hybrid and mountain bikes, made by Bianchi, TREK, and Cannondale. You can ride around the circumference of the island, or perhaps stretch your legs and take the Umi no Nakamichi road along the land bridge or ride over to Gannosu. 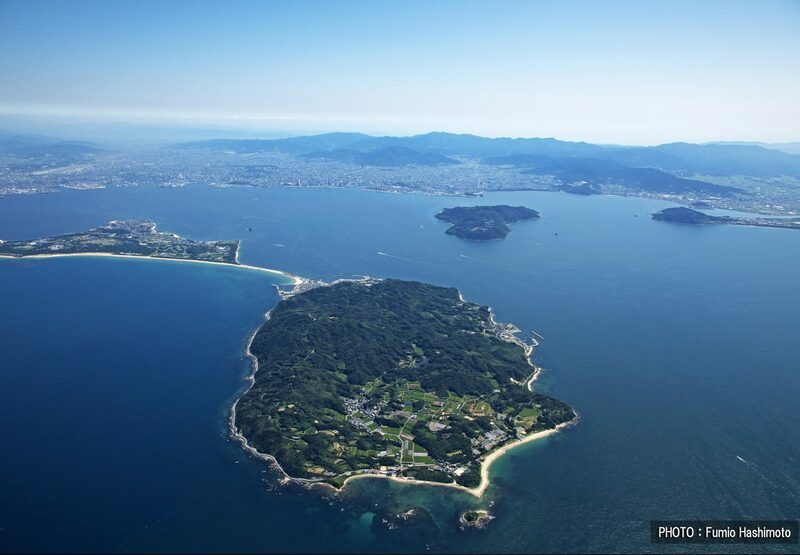 Shikanoshima resides at the tip of Uminonakamichi that stretches through Hakata bay. It is a green small island surrounded all around by the white coast line. In front of the beach is Kyukamura, which boasts a fantastic sunset of the Genkai Sea. In 2006, it went under a renewal and all the rooms now have ocean views. Here you can relax and enjoy the superb view of the Genkai Sea. 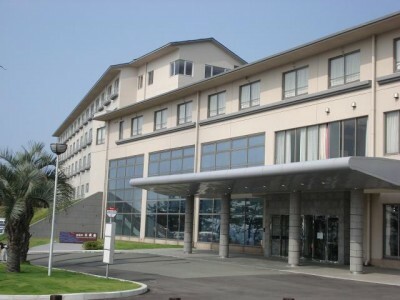 Kin-in No Yu hot spring facility is opened in 2005. Its abundant natural spring overflowing straight from the underground will surely eliminate your fatigue. They have 74 guest rooms and 2 restaurants. This restaurant and inn was established over 60 years ago. It boasts healthy meals made with local produce, and even the rice is grown by the inn right here on Shikanoshima Island. 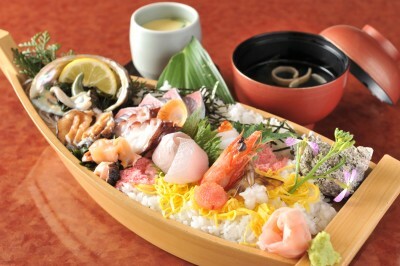 It is not necessary to spend the night to use the restaurant, which offers such dishes as the kaisen chirashi (seafood chirashi sushi plate) and the kama-meshi bowl with sazae (turban shell) the island is famed for. 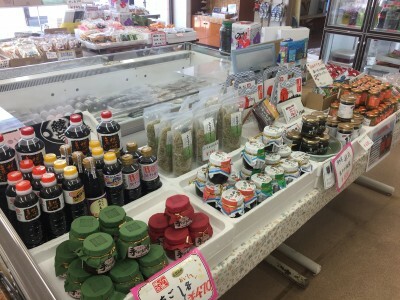 This gift shop offers fresh seafood such as the sazae (turban shells) and wakame seaweed that Shikanoshima Island is famed for, as well as dried or processed fish products and other items. The shop is quite accessible, located just next to the Shikanoshima Island ferry landing and the Shikanoshima Island bus stop. In addition to the abundant array of gifts, the warm hospitality of the energetic and friendly local ladies staffing the shop is another attraction here. Be sure to ask them about the best way to eat the produce or how to enjoy the island!